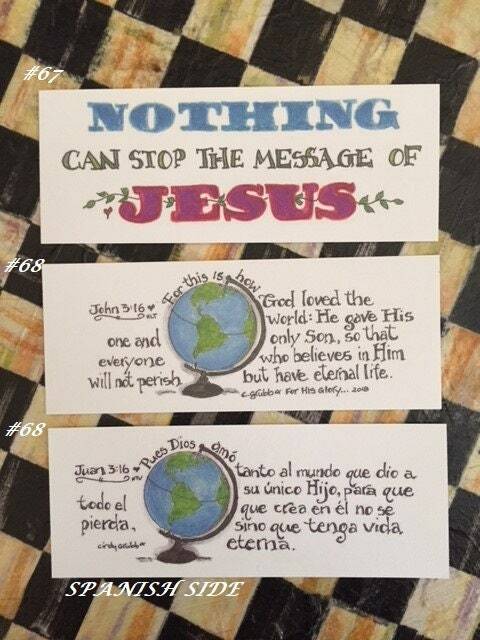 These are my newest bookmarks! 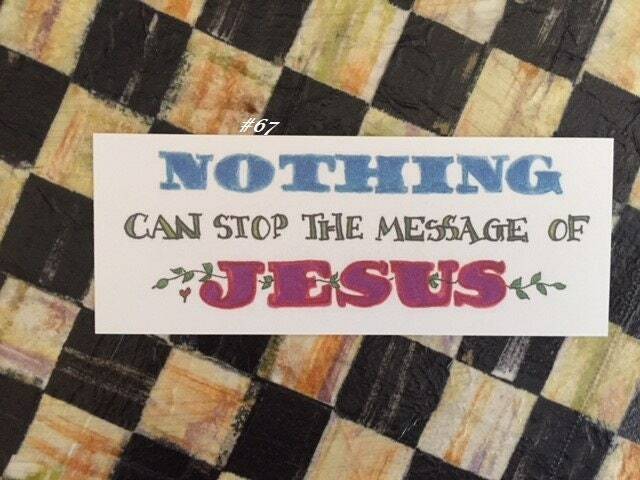 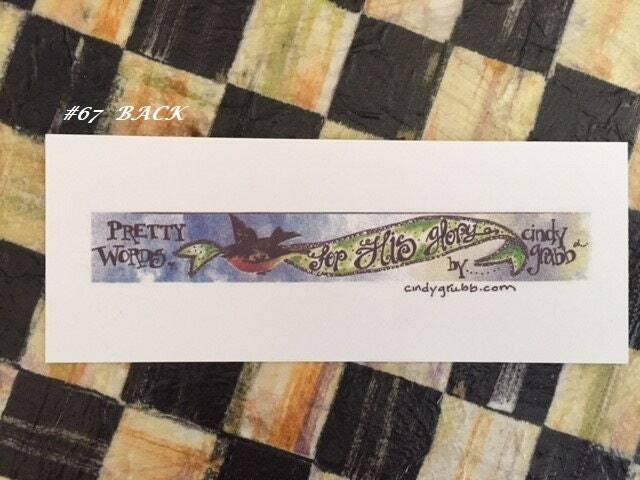 I designed each bookmark, this listing is for #67-#68. 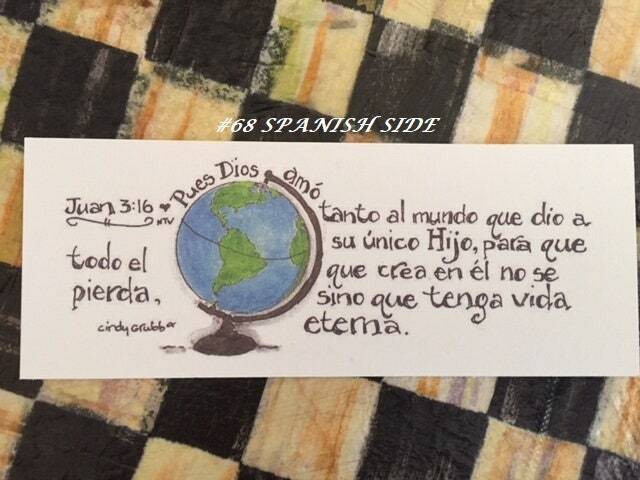 #68 features scripture John 3:16, it is 2-Sided with one side being English & the other Spanish. 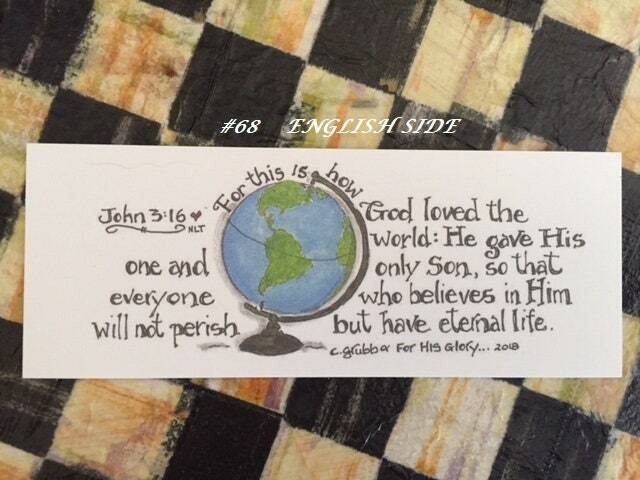 Great item to enclose in a greeting card or as a party favor. 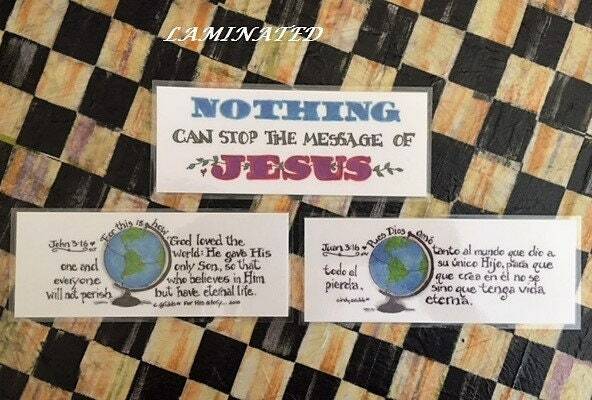 Approximately 25 will ship 1st Class (under $3.00), for same price as one, postage on website requires a minimum.